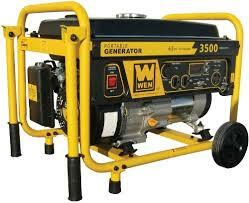 To find the best generators for tailgating check online or at your local hardware store. You can read reviews made by consumers who have bought these products and you can determine which one may fit your needs. Here are some good choices. 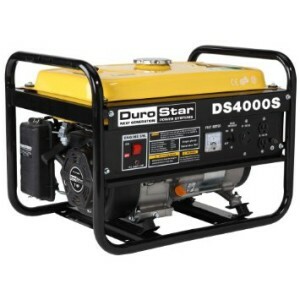 This Durostar DS 4000S Gas Powered Portable Generator has an air cooled OHV 4 cycle engine that runs on 4,000 watts surge and 3,300 watts continuous. It has 4 gallon capacity and can run up to eight hours on half load. It comes with a one year limited warranty and an ez pull recoil start for an easy start. It is EPA approved, but it is non carb compliant and not sold in the state of California. It has a quiet muffler that runs at 69 dba. It has an automatic oil shut off that helps prevent the life of the engine. It received 4.5 stars from more than 185 Amazon reviewers and costs about $330 online. 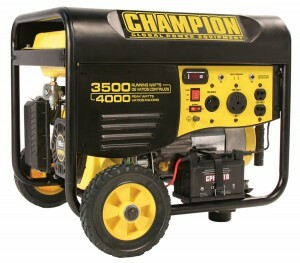 This Champion Power Equipment 46533 Gas Powered Portable Generator is another one of the best generators for tailgating parties. It runs on 4,000 watts surge and 3,500 watts rated. It has a 196cc OHV 4 stroke engine that is protected with a cast iron sleeve. This machine runs up to 12 hours on a full tank of 50 percent load. It weighs about 110 pounds and comes with a two year limited warranty. It is carb compliant being sold in all states. There are several accessories that come with this appliance including one 120 volt outlet, one 120 volt twistlock, and one RV receptacle. This item is great for using outdoors and at home. It received 4.5 stars from Amazon reviewers and costs around $350 online. This All Power America APG 3004 Gas Powered Portable Generator costs about $150 and comes with a 71cc 1.5 hp two cycle engine. 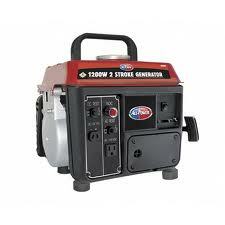 It is considered one of the best generators to buy. It has a recoil start for easy starting.It has a 1.5 gallons tank and is lightweight at 44 pounds. It low noise level makes this a good choice to use in your home or at a camp site. It comes with accessories including one 12 volt DC output and a battery recharger. It is compact for easy storage and runs on 1,000 watts surge and 800 watts continuous. This WEN 56352 212cc Gas Powered Portable Generator comes with a wheel kit for easy portability and makes it easy to take camping or to a tailgating party. It received 4.5 stars from more than 85 Amazon reviewers which makes this one of the best generators for tailgating. It has a capacity of four gallons and a fuel gauge to ensure how much gas you still have in the tank. It has an automatic low oil shut down to help protect the life of the engine. It is non carb compliant and is not sold in the state of California. It has an air cooled 7 hp OHV engine. The machine can run up to 11 hours at half load. It runs 3,500 watts peak and 3,000 watts running. It also has a power indicator light and a digital hour counter. There are several accessories that come with this item including one twistlock outlet, two 120 volt 20 amp three prong receptacle, and a cigarette lighter style 12 volt DC outlet. It has a two year limited warranty and a one inch tubular frame. It comes with a mobility kit. 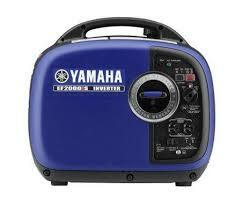 These area all among the best generators for tailgating. They are also great for using for your homes and camping. They all offer multiple features that will come in handy when you are in need of extra power.